And with the rain Reflecting his pain His sorrows broke Like a flood For him to see On his hands was blood. With his blood seeping From his chest, His grieving cries Were put to rest. In My Own Words: In this installment of In My Own Words, Kelliann Drummond talks traveling to Washington D.C. to participate in the 'March For Our Lives' rally. This past Saturday, my father and I traveled to Washington D.C. to protest with thousands of other people to come together and March for gun regulation. This was a life changing experience for me. It was amazing to see all these wonderful people coming together for a great cause. There were over 800,000 people all the way down Pennsylvania Avenue. My dad and I were only a block away from the stage! We were right at the corner of the Canadian Embassy. There were so many creative signs that people had put together. We were able to see many great performers such as Miley Cyrus, Demi Lavato, and Ariana Grande. Who will be crowned Pioneer of the Year? Join in the fun on Saturday, April 7 at 7:00 p.m. as eight Juniors from L-S HS compete to be named the "Pioneer of the Year 2018"!! You will also be entertained by talent from students in all Lampeter-Strasburg Schools as part of the Model UN Talent Showcase. The stakes are high! The winning Junior in the Pioneer contest will receive a front row parking space, Prom tickets, Post Prom tickets and a Spirit Pass to be used during their Senior year! Vote for your favorite person, $1 = 1 vote. Proceeds benefit Doctors without Borders and the Spring Blast & Post Prom events to be held Saturday, May 19th. Tickets at the door are $5 each. We hope to see you at this fun & entertaining event, Saturday, April 7, 7:00 p.m. in the L-S HS PAC!! raveled in the trenches of a town susceptible to misconception i saw myself bereft of life; smothered by viscous knobs of glue adhering flying pages of slander a fictitious manifestation springs from the paper--she is a verb of malleability i whisper her name, three syllables of lead and a roll of poison i constructed the wild strands, the wild gaze, the wild composition of printed atoms that now lay mangled a testament to my subjective war with the narrative. 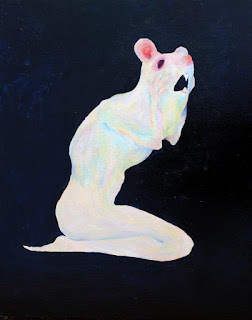 he utters to her, not me, “people do not love those whose eyes are elsewhere.” i eye the cadaver, her achromatic tint matching my penmanship and wonder when they will regard her discontinuity. for her subset persona is composed in morphemes and plaster as she slides across the ample spine of a dictionary to unearth the amassment of words that appease to the masses. In My Own Words: In this installment of In My Own Words, Kelliann Drummond talks about the start of the girls lacrosse season. On March 17, also known as St. Patrick's Day, I was very anxious and nervous because this was the first “tournament” of the lacrosse season. The bus left at 8:30 am. We arrived at Hempfield High School ready to play. As soon as we arrived, we started our warm-ups. Once it was about 9 am, we walked over to the field that we were scheduled to play on. Our first game was against Warwick High School. Because of our hard hard work, we were able to successfully win our first game. Our next game was after lunch against State College. That was another successful win. Finally, we ended the game against Conestoga Valley. This game was very important to me because in the second half of the game, I made two goals! This was extremely exciting because it was also my first goal of the season. Lampeter-Strasburg Boys Tennis is looking to have one of their best seasons in several years. The varsity team, led by Evan Winters, is looking very strong with the doubles combinations and top four singles players. The chemistry between all the players has already been beneficial this season. Several JV players are even proving to have bright futures. The team's first victory, a 7-0 win over Octorara on March 12 raised the team's spirits giving them the necessary momentum to defeat Annville-Cleona on March 19 with another 7-0 victory at home. There was even a scout looking at Evan Winters to play for Penn State University. Currently, the Boys Tennis team's top three players are: Evan Winters, Alex Baker, and Orie Vaziri. There has not been much recent play because of Tuesday's snowstorm. In the meantime, the team has been practicing and getting ready for the coming week's matches. The first away match is on Monday, March 26 at Donegal. In My Own Words In this installment of In My Own Words, Chloe Blantz talks about the start of the softball season. The real softball season is finally here. The teams are picked, the games are set, and the players are ready. The first game was Friday, March 23 against Conestoga Valley but the worst storm of the winter on the first day of spring had other ideas. The softball team consists of Hanna Garber, Kylie Weaver, Haley Baker, Brynne Baker, Jordan Graybill, Summer Peters, Jocelyn Branco, Julz Garber, Tayrn Hostetter, Daisy Frank, Cam Byler, Chloe Blantz, Gabby Drumm, Morgan Whitaker, Emily Platt, Olivia Harris, Kira Thomas, Sydney Weichler, Maddy Ruof, Paige Khuns, Megan Taggart, Gabby Tripolli, Megan Manion, Kiana Thedford, Emma Eshleman, and Karissa Hirt. All the players are eager to play having worked hard already. Our scrimmage earlier this season went well and we learned a lot from it. Below is the team schedule for softball. 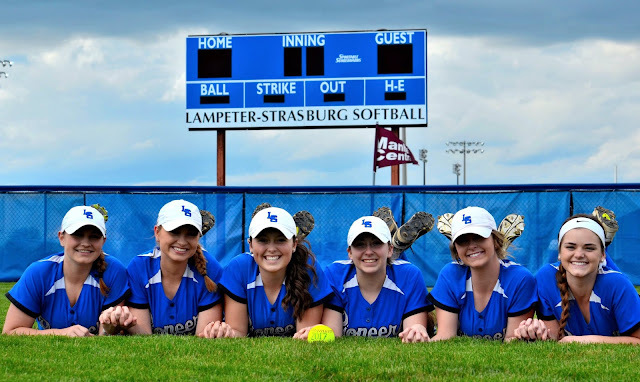 Lampeter-Strasburg freshmen can now boast of something most high schoolers can't. Contributing to the creation of an iOS app. As part of a class assignment students in Mr. Adam Zurn's Introduction to Information Technology class created original hand drawn images for a sticker app. After the images were drawn, they were digitized, dropped into Xcode, and submitted to Apple's App Store for distribution. The app is called Student Stickers and has a wide selection of choices to attach to your messages. The stickers range from inspirational quotes to brighten a friends day to drawings of a thumbs up and cute dinosaurs. What are Stickers? In 2016 with the release of iOS 10, Apple introduced stickers for use with their Message app. Stickers are images that can be sent as a standalone message. They also have the ability to "peel" and attach the image to an already existing message bubble or image. During February's mini-THON's homeroom competition, Lampeter-Strasburg Mandarin Chinese and English teacher Mr. Brian Fisher dared his students that if they raised the most money, he would get Chinese characters shaved into this hair. It was a dare his students welcomed, winning the challenge. So last week, Mr. Fisher went to The Cutting Edge Barber Shop on East King Street to get his hair cut. His stylist, Daniel, has a lot of experience cutting designs, but he had never done Chinese characters before. Mr. Fisher asked him to style the character 爱, meaning “love,” and the four diamonds logo in the back of his head. Daniel started at 6:15 and cut until 7:45 pm, even though he had been working since 9 a.m., the barber shop had closed, and all of his colleagues had left. He did an amazing job! Mr. Fisher also the teacher instructed him how to shape and order the characters; he shaped all of the perfectly-crafted lines with just his razor. Fly me to the moon just out of reach To get me away from the sorrows that I keep locked away inside a dark wooden box buried in my soul. I know not what lurks in those shadows. So, fly me to the moon somewhere I can dream of a love untold a secret to unfold a place to be me. A place where the light is always green; a place where creativity reigns supreme; a place where God is just but an arm’s reach. Fly me to the moon. This fall, several Lampeter-Strasburg students dedicated every Saturday for five months from August to December to rehearse for their annual Nutcracker ballet performances. 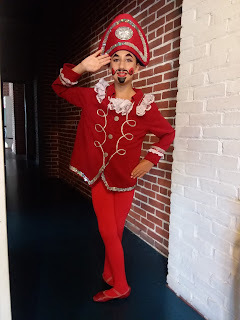 Furthermore, Hans Herr student, Gianna Fasano had a lead role as the Nutcracker Doll in this year's annual performance. Ballet students study under Viktor Yeliohin. Yeliohin is a Professor of Choreography and Studio Director with a career spanning 25 years. He began his ballet studies in 1967. He holds the degree of Professor of Choreography from the prestigious Ukrainian Academy of Dance in Kiev, Ukraine, which was presented in May, 1995. The Nutcracker performance includes 90 area dancers (ranging in ages six to 18) as well as the professional Donetsk Dance Company from the Ukraine. Over the weekend, I watched Wonder with my family. This movie was inspiring because this boy got through a lot. He was brave and strong. For other people who feel like your not worth it, and you don’t fit in, just know that you are worth it. There are people that love you and will always be there for you. You just got to be strong and you will get through it. That’s the memo that I got when I watched this movie. So many people judged him for the way he looked and he eventually changed the school and their perspective. And I would like to add, for those who are having a bad day, please be there for them. Who knows, maybe you can change the school’s perspective like Auggie did. I think people could learn a lot from this movie. It really had a lot of motivation. This movie was obviously a good movie. They also have a book out, so you might want to check it out. Out of the population, 10 percent use their left hand as there dominant hand. Why is this? Well it all comes to nature vs. nurture. In activities such as baseball being a left handed thrower is a great advantage since most of the other players are right handed. In nature being left handed gives that person an edge. Then due to natural selection more lefties would come right? Now nurture comes in play, in a world that is predominantly right handed lefties are forced to adjust and use their right hand. Many things are built for the right hand being used, notebooks, desks, computer mouses, number pad, can openers. In the end, since we have a right handed society many young children naturally use their right hand to assimilate. The reason why everyone is not right handed because the children subconsciously use their left hand more and no one stops them. If were like animals and we just needed to survive the ratio would be much more even. 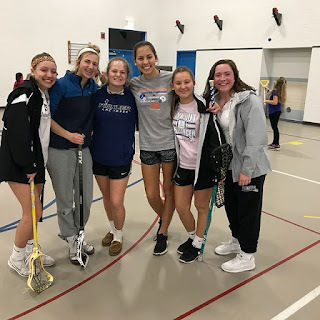 In this installment of In My Own Words, Kelliann Drummond talks about trying out for the Girls Lacrosse team as a freshman. I have been playing lacrosse for a very long time. 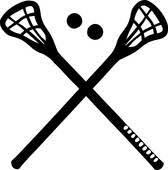 I am a freshman at Lampeter-Strasburg High School and going into my seventh year of lacrosse. I am very dedicated to this sport and I really enjoy playing it. I was excited going into my first tryouts, but I was also very anxious. I didn’t know what to expect. I am very familiar with the coach because I take lessons with her in the off season. The very first day of tryouts was very nerve racking. We started out by doing nine 100 meter sprints up and down the field. That was extremely exhausting, but I didn’t back down. Next, we did shuttles and ended with some shooting drills. The second day of tryouts consisted of more sprints and 3v2 scrimmages. This day wasn’t as tiring as the first, and I was feeling a lot more comfortable with tryouts. Last night in front of the largest Thursday night audience since 2008's Les Miserables,West Side Story opened for an enthusiastic audience that awarded the breath-taking performance with a standing ovation at curtain call. Only three more performances remain with 7 pm shows tonight and Saturday as well as a 2 pm matinee on March 10. Tickets can be purchased today in the Lampeter-Strasburg high school main office between noon and 4pm and at the door before every performance. Doors open at 6 pm. Here's a trailer for West Side Story with footage from Monday's teaser . You can read more about the production here. Lampeter-Strasburg's 'West Side Story' opens tomorrow! West Side Story opens tomorrow! It is one of the most beautifully crafted musicals to ever grace the stage. 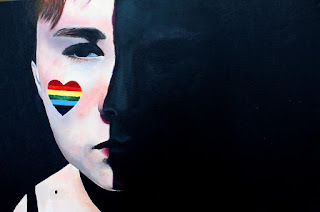 Despite being set in the 1950s when toxic male energy and child-on-child violence might have been permissible it is a fascinating black mirror reflection of our current society. As director Mr. Kevin Ditzler says, "Theater reflects our society." With this in mind, theater students will be raising money for Teen Haven. Please consider donating. Since before winter break, the production process for West Side Story has been in full swing. Actors have been rehearsing several days a week for hours at a time memorizing lines, lyrics, blocking, and choreography under the direction of Mr. Kevin Ditzler, Mr. Erik Welchans, and Mrs. Jo Carole Dodson. The show involves a lot of dancing and movement, so it is essential to keep up and review the choreography." Mr. Robert Shaubach has had pit orchestra rehearsing a several times a week, perfecting the score. 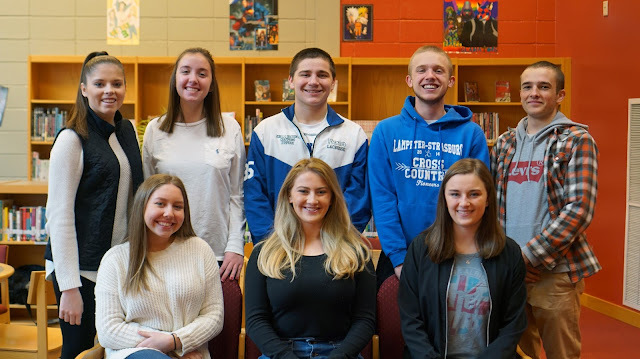 After a three week competitive swimming hiatus, the Lampeter-Strasburg swim team was ready to compete in the AA District Three championships at Cumberland Valley High School last weekend. The competition had 115 female swimmers who had qualified for the two-day event. 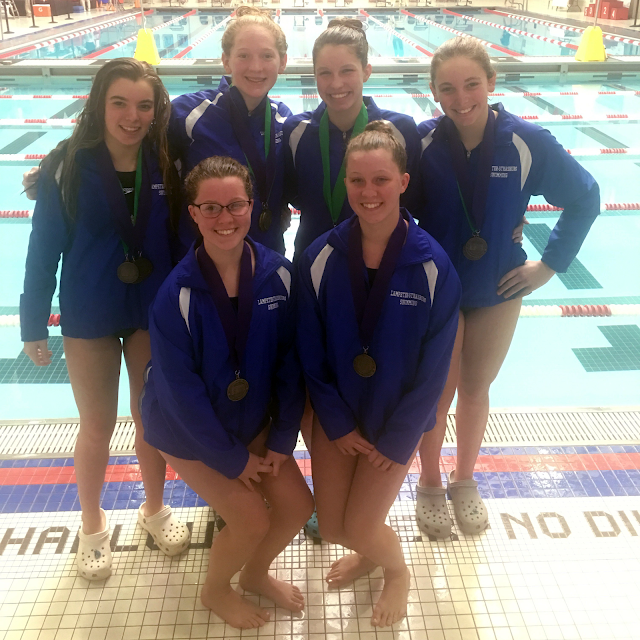 Representing the girls swim team was Breanna Fluhr, Catherine Horner, Olivia Horner, Elizabeth Horner, Abby Nagle, Molly Nagle, and Lexi Wagner. Breanna Fluhr placed 6th in 100 backstroke and qualified for the PIAA state swim meet. Elizabeth Horner placed 7th in the 500 freestyle and broke the school record, she also placed 11th in the 200 IM. Lexi Wagner placed 10th in the 100 breaststroke and broke the school record. Catherine Horner placed 10th in the 100 freestyle and broke the school record, she also placed 11th in the 50 freestyle. The 200 medley relay team of Breanna Fluhr, Lexi Wagner, Elizabeth Horner, and Catherine Horner placed 5th overall and broke the school record. Last Tuesdays battle against Palmyra was a special game for Pioneer's junior Emma Gochnauer, due to her hitting the one thousand point milestone. The five foot nine combo guard got off to a slow initial start, with only one point in the first quarter. The lady Pioneers looked sluggish, and the crowd was restless waiting for Emma to acquire those two last points. Unfortunately the end of the first half came too soon, and the crowd sighed. Knowing that even if Gochnauer did reach the great milestone of one thousand points, their team would probably leave Warwick high school with a L.
When the second half began the fans as well the Lady Pioneers all had a break, and were ready to cheer and play to the best of their ability. The second half was underway and the crowd roared with excitement. With cameras at the ready. The Pioneers looked like a different team during the second half with a barrage of points. Everyone seemed to be scoring but Emma. As you are probably aware, this year's musical is West Side Story. The show stars several well-known students through-out the school, including Mathew Monroy, Steven Greenwood, Jessica Heisey, and Brendan Massar to name a few. What you might now know is how much work goes on behind the scenes to make the show a reality. Two driving forces that help ensure this musical goes well is director Mr. Kevin Ditzler and stage manager Skye Reinacher. The cast, crew, and pit have been working hard to make this show audience ready so get those hands ready for clapping! On the Saturdays leading up to the musical, we have rehearsal from 8:30 am to 2:00 pm! At 7:30 though we have breakfast with everyone! This image is from last Saturday! We had donuts, eggs, bacon, ice cream, cake, pancakes, and so much more.